It seems that everybody wants to know about how hot it is. 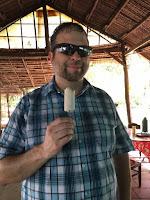 Our month in Vietnam was during one of the milder parts of the year, so I can share what that was like, and what locals have shared with us. 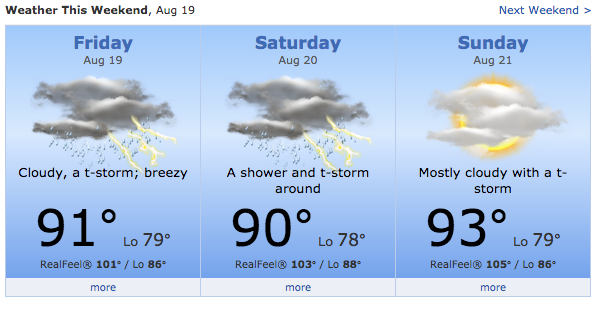 In the HCMC aka Saigon area, it seems that there are two notable seasons: “Hot and Rainy,” and “Less Hot and No Rain.” The “Less Hot…” season coincides with Autumn/Winter back here in the US (for the most part). November-March are mostly sunny, temperatures around 90-95 F at the peak of the day. The rest of the year, which I haven’t experienced seems to be slightly hotter, much more humid, and with an expected tropical shower every day. Supposedly the rain is reasonably predictable, and once it is done, the sun comes back out. What I did notice, and seems to be the case most of the year, is that mornings and evenings are really nice temperature-wise. It cools off just enough at night that it is quite pleasant to walk around. The mornings were equally nice, even with the heat, because there is a lot of tree coverage around parks and buildings are tall enough that you can walk in shade pretty easily. During the hot hours (11am-2pm-ish) a lot of people simply seek shelter indoors with air conditioning. Many people who are on the street at this time will use a parasol for some shade. For those who think that this is all just unbearable and think we are crazy for even trying to deal with weather like this, keep in mind that in Pennsylvania, July and August this year (2016) were hotter and more humid than Saigon most of the time. It is just not as bad as your brain wants to convince you! One tip will save you from the heat: drink lots of water, and on occasion some coconut water which will give you some of the energy you lose from always being in the sun and sweating! I am a gym rat. No, I don’t love it. In fact, going to gym is one of the most difficult “good” habits I have ever had to force myself into. I exercise on vacations too, because a few days of missing the gym make the habit too easy to quit when I come back. Anyway, I am happy to say that I didn’t need to exercise anywhere near as much in Saigon as I did back home! The main reason? Just walking down the street makes you sweat! Oh, and our apartment was up three flights of stairs. No elevator. Elevators are for chumps. No, I take that back, I would totally use one if our place had one! So we got a lot of natural exercise, walking and doing stairs! This combined with the healthy food and lots of water, I found myself maintaining everything quite easily. Now for the mornings where I needed to do something, the great news is that all the public parks have public gym equipment! You won’t find fancy touch-screen treadmills and rowing machines, but you will find ellipticals, exercise bikes and other great apparatus. All free! My son loved playing on them, and the locals smiled watching him try! Walking, walking, walking! We did a heap of walking. I highly recommend it. The best way to experience everything around you and get familiar with where things are located is to just walk it! Bottled water is cheap, so don’t fear ($0.35 for a Liter of Dasani), and you are getting your exercise as well ;) Lots of things to see, the streets are VERY dense with shops and markets and too many other things to name. It certainly is not boring to walk around the city. One tip however: If you have a small child, think twice about bringing your pram/stroller. The sidewalks are NOT for walking like they are in the US or Europe. The “sidewalk” areas in Saigon are for motorbike parking and street food vendors! Plus they are rocky and uneven. You will fight your stroller more than it will help you. Eating healthy was pretty easy. I am a food adventurer, so I always had to try new things. We also had some Vietnamese friends direct us on great things to try (Thanks Phuong!). The food is excellent pretty much everywhere. In America, if you want to eat healthy out at a restaurant, it is a bit difficult. 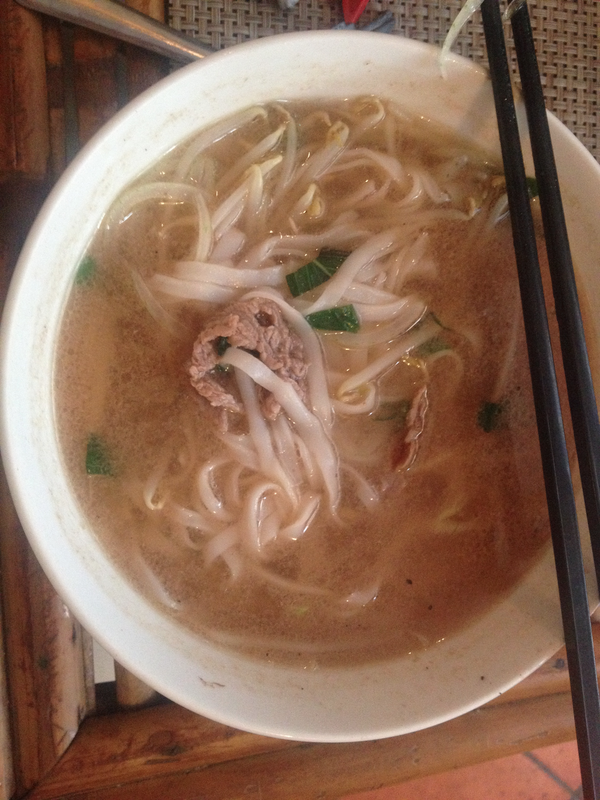 In Saigon, mostly everything is freshly made with fresh (not preserved) ingredients. More importantly, the heat and walking directly impact how you eat. For us, when the temperature makes us hot, we tend to eat less. The walking burns more calories, and the water makes everything in the body work more efficiently. Overall we found that we could eat nearly anything we wanted. The portion sizes were smaller, but we were completely satisfied. Back here it would be a cruel exercise in portion control, but there it just worked, and we didn’t feel guilty when we splurged on something sweet or carby. Of particular note is the street food. What you might interpret as a "hot dog stand" in NYC or Chicago, these little stands are everywhere in Saigon, and they are full service restaurants. Grab a seat in itty-bitty plastic chairs (that held me just fine), and you will be handed a menu of sometimes 20 or 30 different items which they can prepare for you cheap, fast and fresh. 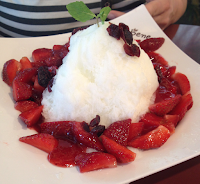 On the subject of of ‘something sweet’ -- the desserts are good. They are very VERY good, and they are VERY sweet ;) Worth doing, but in moderation. I have so many notes, I will try to write up an “uber blog” and summarize them. We have been so busy over the last few months making preparations for moving, networking with people from all over southeast Asia, and all the while, working, preparing for graduate school and more. It has been a LOT. 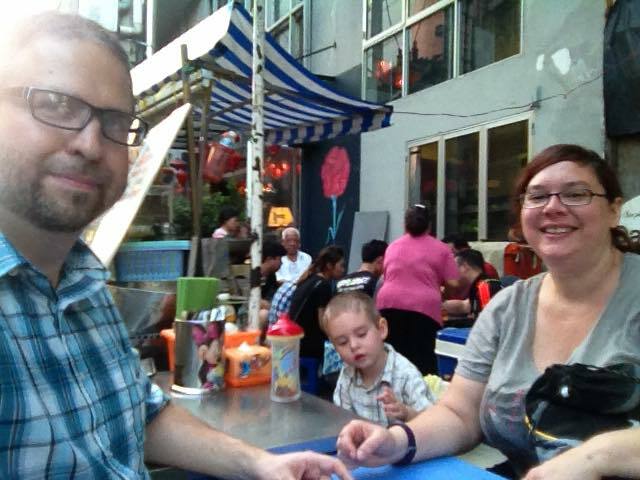 As of now, we are planning to relocate to Saigon in December of this year, at which point my blogs, posts, etc. will be more about the “adapting to life in” philosophy rather than “spending a month in” which is totally old news now! Have specific questions or comments? Hit me up on twitter @aschwabe or comment here! Thanks for the reply! Where do you live now? Perhaps we can connect.